Plug Connection has been supplying the best quality young plant on the West Coast since 1987. Today, we are one of the largest plug, liner, and grafted transplant producers in the country. Whatever your company’s size or location, we have the products, programs, services, and flexibility that you’re looking for. 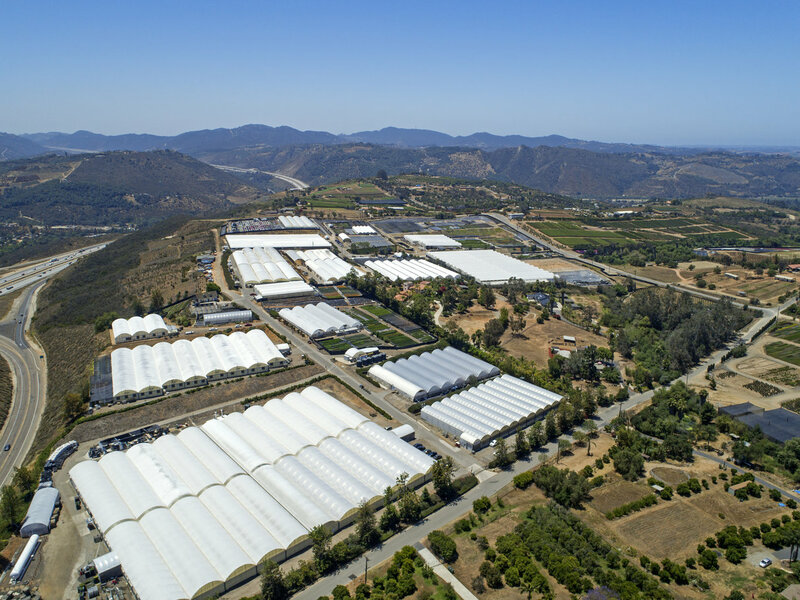 We purchased a second facility in 2017, just nine miles away in Bonsall, California. Home to our SolarPower™ Succulents, SolarPower™ Grasses, True Bloom™ Roses and other unique Vegetatively produced items. This facility was built to harness the SolarPower we have in Southern California. Stock production houses, propagation houses, and bright acclimation areas result in toned and primed liners. The highest light levels in North America. Clear skies and warm temperatures by day, with afternoons and nights cooled by light ocean breezes. 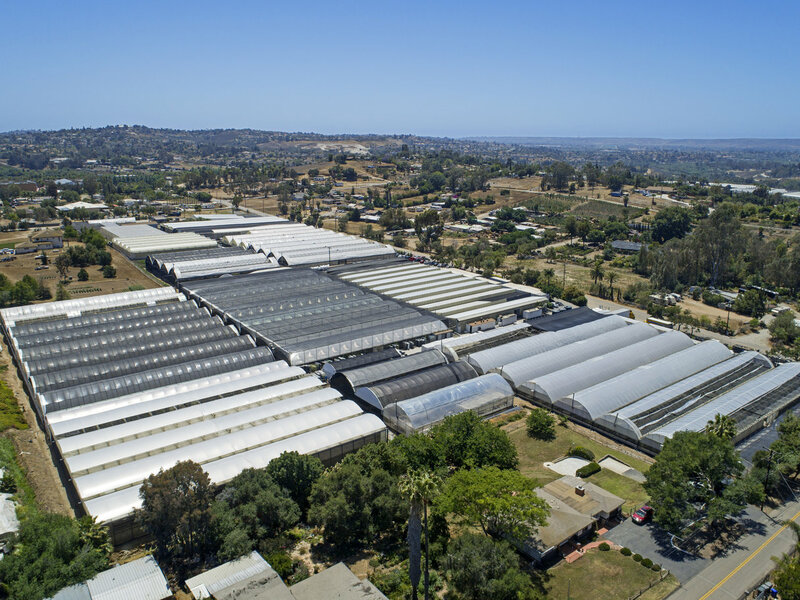 It’s another perfect day in Vista, California, and the ideal climate to grow young plants. Between our two facilities we occupy over a 1.5 Million Sqft of Covered space. Our finishing houses (stages three and four) have roll-up roofs and drop-down side walls that dissipate heat and humidity during the day. Shorter finish times, faster turns, year-round availability. Toned and hardened by the sun and the cool breezes blowing off the Pacific Ocean, our plugs and liners are exceptionally compact and vigorous. Over 14 years of grafting experience. Grafting is a natural process that joins the top part of one plant (scion and fruit variety) to a superior root system (rootstock) of another plant without any genetic modification. Plug Connection specially selects and grafts scion and rootstock combinations to greatly benefit home gardeners and to mitigate specific soil-borne disease issues in agricultural field farms and greenhouses. Certified organic production. Plug Connection is proudly one of the first Young Plant producers to become USDA Certified Organic by CCOF. We continue to grow this program year after year. Plug Connection sells to professional growers only. To place an order, please contact your favorite broker.